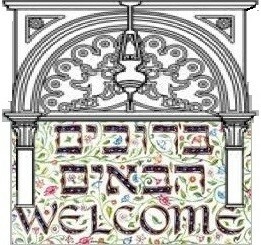 Welcome to Young Israel Ohab Zedek of North Riverdale/Yonkers, located at 6015 Riverdale Ave, Bronx, NY 10471, (718) 548-0105. Young Israel Ohab Zedek of North Riverdale/Yonkers is a warm and welcoming community synagogue that aspires to be the religious, intellectual and spiritual home for each of its members. Founded in 1979 by a small group of pioneers, the Young Israel of North Riverdale merged with Congregation Ohab Zedek of Yonkers in 1991 and moved into its present location, The Morris and Marilyn Sopher Building at 6015 Riverdale Avenue. In the last several years, YIOZ has welcomed an influx of young families who together with the community's pioneers have created a unique shul, renowned for its warmth and the diversity of its membership. This is an exciting time to join the YIOZ community. The shul is about to embark on a transformative expansion project which will yield a magnificent new Sanctuary, a beautiful social hall for smachot, and additional youth and office space. Robust programming for youth, more classes and shiurim for adults, expanded opportunities for chesed, advocacy for Israel and social action, all ensure that each member of YIOZ contributes to, and feels a part of, this growing and vibrant Kehillah. Yioz Master from yioz video on Vimeo.